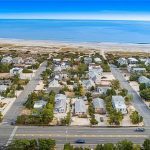 Should You Buy a 'Second Home' on LBI First? 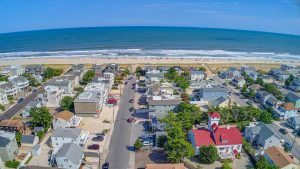 Should You Buy a ‘Second Home’ on LBI First? 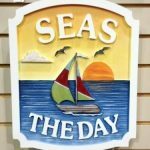 Home » Should You Buy a ‘Second Home’ on LBI First? A new trend is starting in shore locales like Long Beach Island. Buyers are buying their “second home” while continuing to rent their primary residence. The purchase of an LBI beach house may be a place to escape for the weekends, a place to spend vacations, or a place to consider renting to others as a money-maker. But it’s also in keeping with the widespread belief that owning real estate is a sound investment, so the sooner one can get a piece, the better. “Property values have grown over time,” notes National Association of Realtors economist Lawrence Yun. “That price appreciation can provide equity for trade-up purchases” later in life. 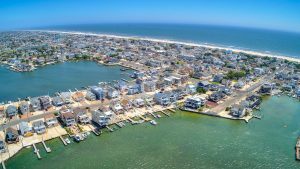 Buying a home on Long Beach Island AND continuing to rent may not necessarily be the right move for everyone Here are some considerations from Jean Chatzky of TheBalance.com. How good an investment is it, to purchase a second home first? A lot depends on the nature of the property. There’s a big difference in buying a fixer-upper and putting in some sweat equity on the weekends versus buying a pristine place and sweating over where to place your chaise on the deck. All real estate is, of course, local, and appreciation prospects vary tremendously amid regions. Look at what prices are likely to do in the vacation-oriented areas. Trulia uses census data to compare price appreciation in vacation zip codes against nonvacation locales. In 2012 and 2013, year-over-year price appreciation in nonvacation areas was about three times that in vacation ones (6.6 percent for nonvacation areas in the final quarter of 2013, compared with 1.9 percent for those vacation areas). In other words, a home purchased in a city or suburb was likely to appreciate in value more quickly than a weekend place you might buy in a beach town or rural locale. But since then, the gap has narrowed significantly, with vacation areas occasionally moving ahead. In December 2017, prices in vacation areas rose 5.2 percent year over year, compared to 5 percent in nonvacation locations. Looking ahead, Trulia forecasts a fairly even playing field in the values for both venues. His guideline: If the rent for the place you’re living day-to-day—and don’t forget, it’s likely to escalate in the future—plus the costs of the second home are pushing 50 percent of your income, the idea doesn’t make sense. One way to keep the costs of your vacation place in check is to buy in a place with a homeowners’ association that takes care of predictable maintenance: lawn care, snow removal, and the like. Also, understand that the very act of buying a second home is likely to be more expensive than buying a first. “From a lender’s perspective, it’s considered more risky,” Yun explains. So if you need a mortgage, the down-payment requirement will likely be a little higher, as will the interest rate on the loan—to the tune of 50 to 100 basis points, Yun says. The lender’s reasoning: If you fall on hard times and can’t make payments, it’s easier to walk away from a place that isn’t your primary residence; after all, you’ll still have somewhere to live. Will It Be a Moneymaker? Airbnb and sites like HomeAway make it easier to use your vacation home when you want to and profit from it when you don’t. “It’s like the American Dream on steroids,” says Roschelle. “I’m not just going to own it, I’m going to turn it into a business.” Tread carefully, though. If you rent your home out for less than 14 days a year, you don’t have to pay taxes on the money. More than that, though, and you’re entering a complicated world of taxation that requires clear and diligent record-keeping. Even as you think about buying a second home, think about selling it down the road. One way to increase the resale potential is if your market could include not just vacation-home seekers but seniors seeking a place to relocate for their golden years. “I think the prospects for housing values are quite good, particularly for areas where you’re going to see a lot of retirees in the next few decades,” says Mark Zandi, chief economist at Moody’s Analytics. If that’s a consideration, think about what an older person might want in a home as you look: Wide halls and doorways, a master bedroom suite on the first floor, an entry without stairs. You might not be able to capture all of these things—a very small percentage of the housing stock in the U.S. has all of them—but the more the better. More people are buying Long Beach Island vacation rentals as their first real estate investments because it’s a sound financial decision. The demand for LBI vacation rentals is at an all-time high and continues to grow. There’s low risk, because at the end of the day, you have a second home on the Jersey Shore where you can vacation for free!! For assistance in purchasing your “second home” 🏖 🏝 🏡 on and around Long Beach Island, or any questions, please contact us at team@noplacelikelbi.com.